The press is claiming over here that the central banks saved the super-rich by keeping interest rates low to help the stock market. While this reporting is still highly socialistic designed to hand even more power to government, meanwhile government just ignores the law to justify its own actions. The ECB buying of debt is claimed to be within its power and that there is no requirement for any democratic process. 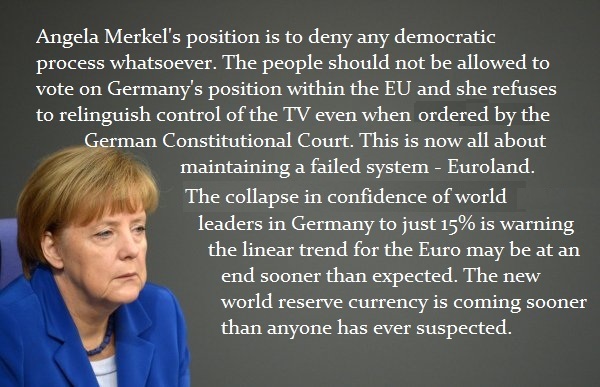 Then we have in Germany the unbelievable refusal of the German government to honor its own Constitutional Court. Merkel has refused to relinquish control of the ZDF Television Council despite a ruling by the Federal Constitutional Court. 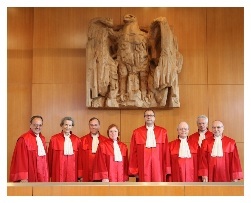 Here the court ruled in favor of democracy and freedom of speech insisting that government must limit the influence of politics in the supervisory board that control the press. This is simply unimaginable. Nevertheless, we can see connecting the dots that government is indeed in the last death-throws and will do anything at this point to hold on to power.